Special Offer! Apply Coupon: testo0002 in the shopping cart, after you log in. 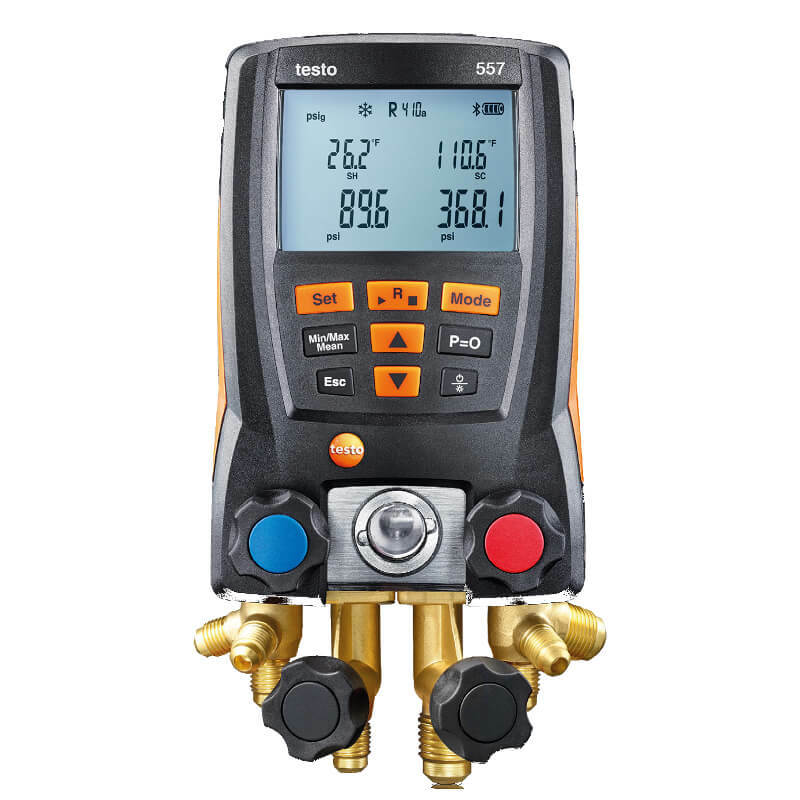 The Testo 550 is an easy to use 2-valve, three ports, digital manifold with Bluetooth that measures high and low side pressure and temperature, displays saturation and evaporation, and automatically calculates superheat and sub-cooling for 60 different refrigerants. 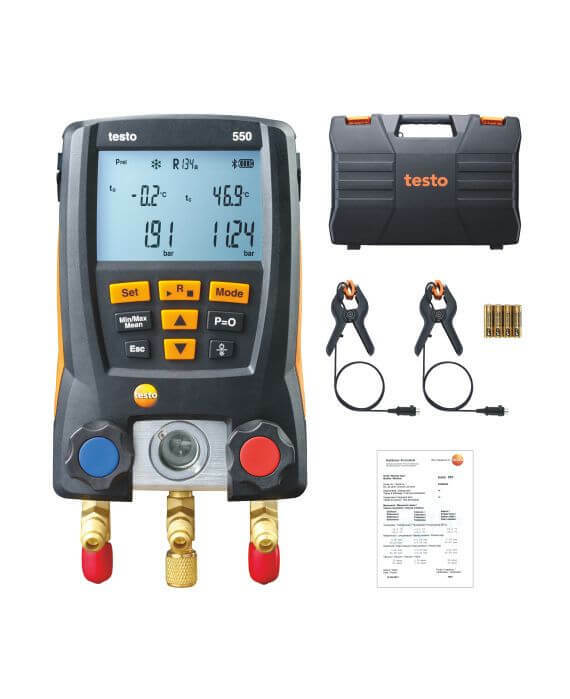 In addition, the Testo digital refrigeration system analyzer has Bluetooth / app integration saving the HVAC technician time by being able to monitor a system up to 65 feet away on his mobile device, as well as easily generating a report or invoice and directly sending it to the customer via email. 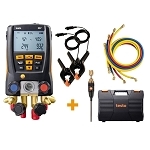 The Testo 550 digital manifold is ideal for technicians who want increased productivity, efficiency, and accuracy while installing or repairing air conditioning systems, heat pumps or refrigeration units. 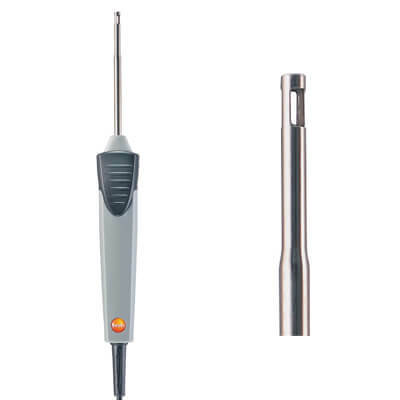 The 550 DRSA enables users to perform a range of measurements including pressure, vacuum (indication) and temperature with this one instrument. Multiple tests can be performed and calculated in a short space of time. Technicians can perform leak tests, monitor refrigerant flow through the sight glass as well as view the superheating and sub-cooling temperatures in real time. 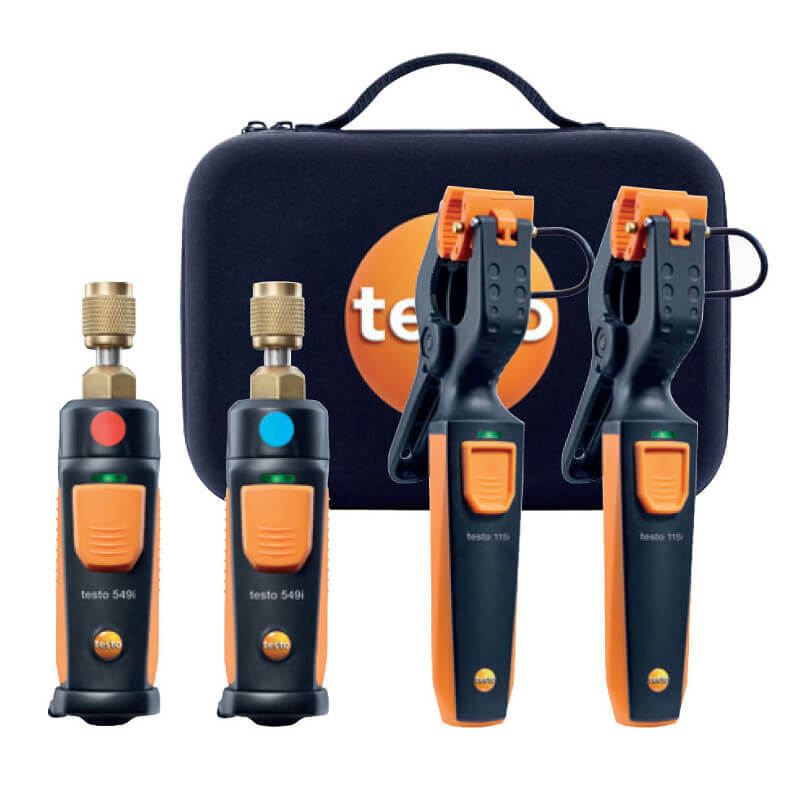 The Testo keypad allows the technician to switch between different measurements easily and effectively to evaluate the performance and efficiency of the system. 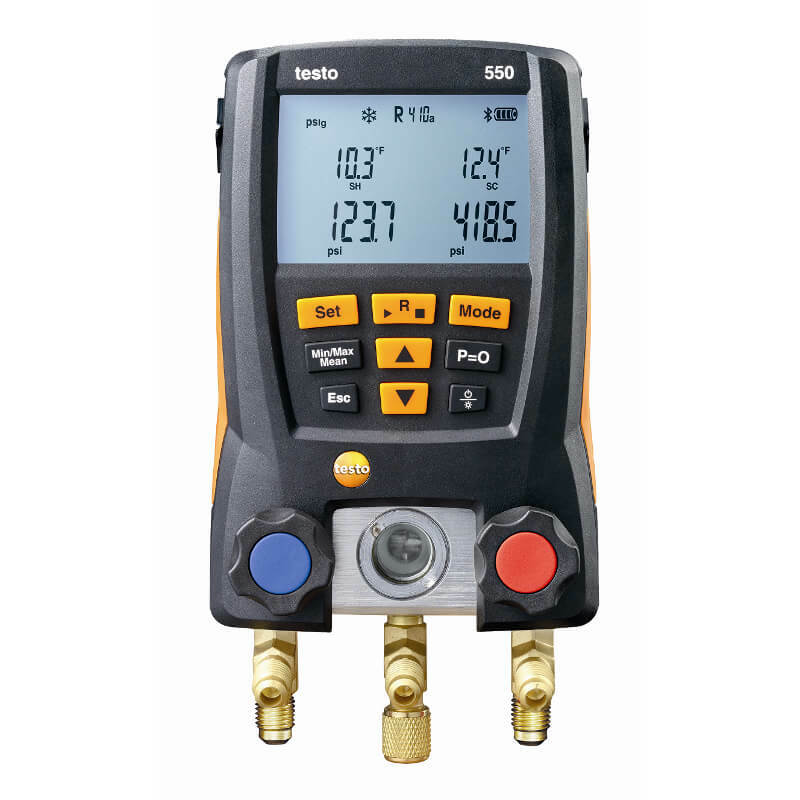 Testo is known for quality and accuracy when it comes to HVAC/R products and the 550 HVAC digital manifold is no exception. 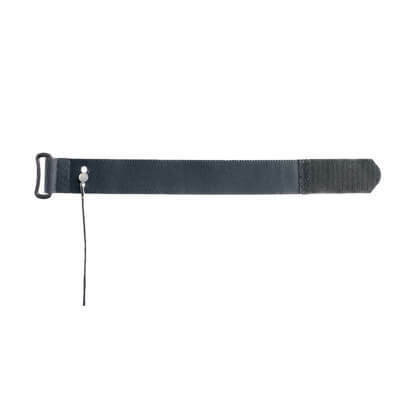 Included in this kit, are two NTC temperature clamps used to measure superheat and sub-cooling. 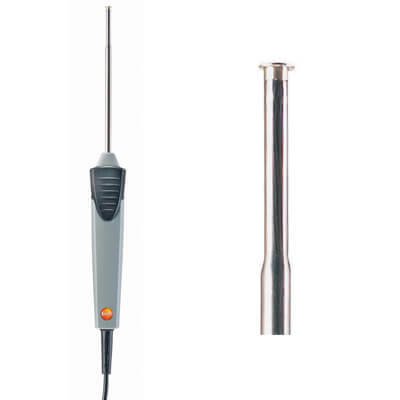 By connecting the two clamps to pipes, the 550 will simultaneously record the surface temperature and calculate the superheat and sub-cooling saving the technician precious time when evaluating a system. 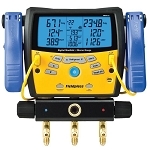 The manifold’s gauges use lower range pressure transducers with ceramic sensors that are more accurate in the working range and better able to handle over pressurization. The pressure measurement range is -15 to 870 psi with an accuracy of +/-0.5% psi and the temperature measuring range is -58 to 302 °F with an accuracy of +/- 0.9 °F. The Bluetooth integration allows users to connect to the Testo Refrigeration App on their smartphone to remotely view and analyze measurements, track changes, update refrigerants, include a photo of the measuring location in a report as well as create a report to send directly to a customer via email. 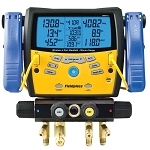 The AC digital manifold has a large, easy to read, 2-line backlit LCD screen and an intuitive operation that allows the technician to quickly evaluate a system without changing connections or doing lengthy calculations. The manifold even has a three hose holder for easy attachment of the refrigerant hoses to the valve block. The manifold’s housing has been improved to include a metal frame around the display and increased protection for the temperature probe sockets against job hazards such as water, dust or even dropping to secure a protection rating of IP42. 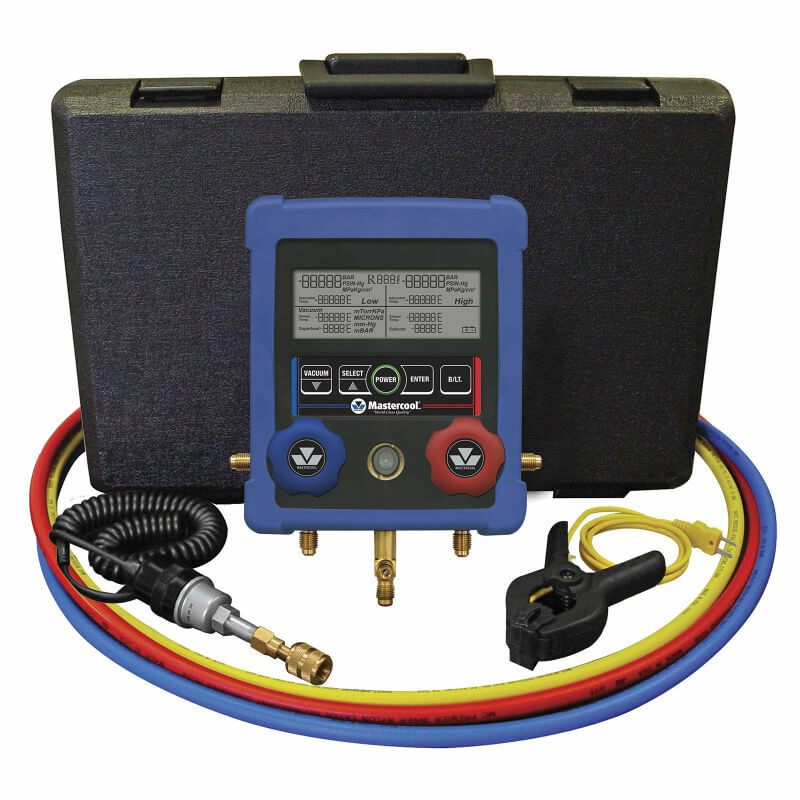 The 550 manifold kit comes in a hard carrying case with two temperature probes, but NO hoses. However, the case is spacious enough to store hoses if desired. 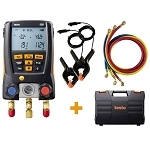 Available Testo 550 Digital Manifold Kit with Bluetooth and Hoses. ordered 15 at additional 5% discount ($194.35) 3/24/16. Additional 5% discount is good on purchases from March 1 to August 31. I am very happy with this new manifold from Testo. The bluetooth app is pretty handy as well. Being able to calculate Superheat and Subcool in real time is very awesome. I like that it is all displayed on one screen as well. Very efficient. Definitely an upgrade over my old manifold. Ive been using analog manifolds for longer than I can remember. I've always been apprehensive as i didn't need a new manifold and I also wasn't a true believer in them being worth the price. Boy was I wrong. This saves me a lot of time having all the refrigerants on one device and I can get my superheat and subcool measurements right on the screen.